Wage garnishments can make paying other bills and covering living expenses a challenge. Filing for bankruptcy might stop wage garnishments and even make it possible to recover recently garnished wages, depending on the type of debt and bankruptcy you file. As soon as you file for bankruptcy, the automatic stay injunction goes into effect; restraining most creditors’ collection efforts. However, the automatic stay is not absolute. It will not stop wage garnishments when you file a Chapter 7 bankruptcy, and it will not stop domestic support obligations. Luckily a Chapter 13 bankruptcy will stop all wage garnishments, including those for domestic support obligations. It is important to remember that, domestic support obligations, like child support or alimony, are not forgiven in bankruptcy. In Chapter 13 bankruptcy, you are expected to provide for the full payment of these obligations through your 3-5 year repayment plan. Therefore, the wage garnishments will stop while your bankruptcy case is active and you’re current on your plan payments. One your bankruptcy case is closed, creditors cannot continue wage garnishments on discharged debts, like credit card balances and medical bills. However, they may continue to garnish wages for non-dischargeable debt, like student loans, since you are still legally responsible for them. If the court released your case without discharge, your creditors can continue the wage garnishments for all types of debt. You may be able to recover garnished wages before the bankruptcy, if the garnishment occured 90 days or less before the filing date, you can claim an exemption for the amount you are seeking, and if it is more than 600 dollars. Also, in order to recover the wages you would have to file a lawsuit against your creditor. Consulting with an attorney will inform you on whether or not taking this step would make financial sense, and be in your best interest. Once you officially file for bankruptcy, it can take the court a week or possibly more to send the bankruptcy documentation to all of your creditors. In the meantime, it is in your best interest to ensure the garnishments stop quickly. Either you, or your attorney, should notify your employer and creditors immediately by providing them with your bankruptcy case number, filing date and court location. Once they have been informed, the automatic stay is in effect and, the garnishments must stop; even if they have not received a notification from the court. If you are facing wage garnishments, that are making your life substantially difficult, you should seek the advice of an bankruptcy attorney. An experienced lawyer will inform you of your options, and advice you on the steps to take in order to improve your financial situation. 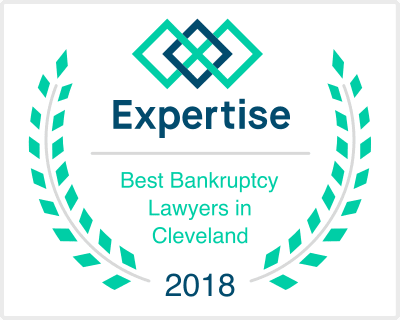 Attorney Irving S. Bergrin practices law in Cleveland, Ohio and has spoken on many different bankruptcy issues to help individuals understand their financial situations. Contact his office today to discuss your options, and if bankruptcy is the right choice for you. As always, the first consultation is free.